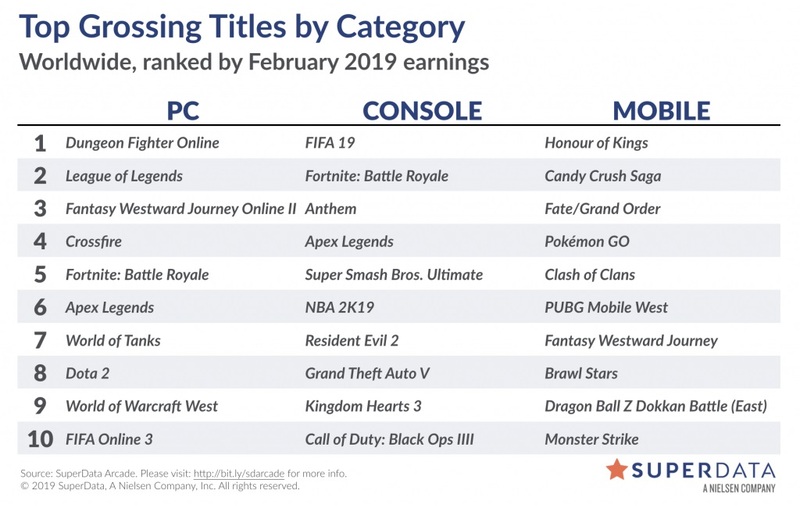 SuperData’s February digital games report is now out, and to nobody’s surprise, Apex Legends makes the list as one of the top-grossing games of the month. As you can see in the chart below, Apex Legends made its debut at #6 on the PC gaming chart, one spot below its erstwhile competitor, Fortnite: Battle Royale (and just above World of Tanks and Dota 2). It was also the #4 game on consoles during the month, two spots behind Fortnite. 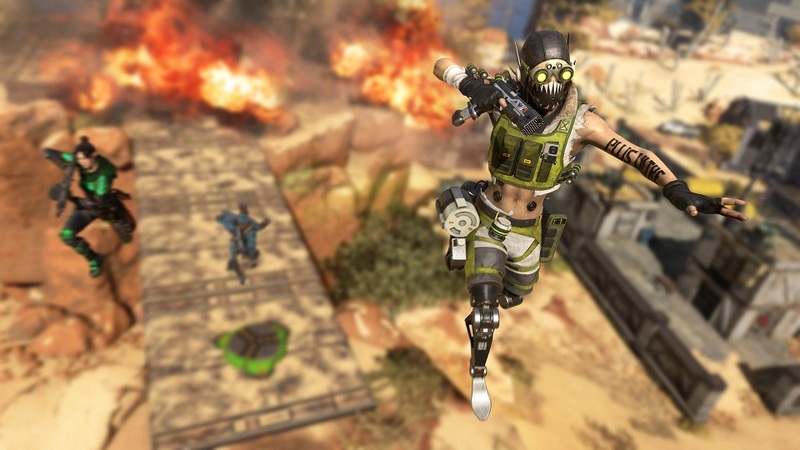 SuperData said that Respawn Entertainment’s new battle royale made $92 million in the month, giving it “the best launch month of any free-to-play game in history.” That total is even more impressive when you consider that Apex Legends launched four days into the year’s shortest month, and therefore had only about three-and-a-half weeks to accumulate its numbers. By comparison, Fortnite made an estimated $89 million in December 2017, its third full month of release. In other F2P gaming news, SuperData said that Hearthstone had “its largest year-over-year decline” in February, losing 52% of its revenue. On a personal note, I’ve barely played this year, and the recently announced expansion just isn’t exciting me. Add in the curious survey from late last year, and it’s highly possible that 2019 could be a make-or-break year for Blizzard’s once-dominant digital CCG. They are very sad statistics. All those games are meant for the casual player. Resident Evil 2 (the only real game) is a remake, GTAV came out several years ago. It has a second life only for Roleplay servers. WoW after the expansion WOTKL is a little game for kids. Moba games are multiplayer tournaments only, they do everything to make you play alone and buy skin. Battle Royals are successful because you have the illusion of playing with someone. Mobile games do not deserve comment. Conclusion? Gaming groups such as guilds or communities died in multiplayer. Games made as god commands maybe comes out every 5 years, at last new episodes like the bioshock saga or Resident Evil remake. Junk games are blocking generational change. A well made base map game. It has very nice ideas of play and delivers because its not over spoilt. (YET) Hope not ever. It should concentrate on game play mechanics over adding unnecessary’s with upgrades, overkill addon’s ruin the games originality.